Others involved in the selection, application and/or design of bevel gear systems. Raymond J. Drago is Chief Engineer of Drive Systems Technology, Inc. (DST), a mechanical power transmission consulting organization that he founded in 1976. Prior to this, Mr. Drago worked for the Boeing Company – Helicopters Division until his retirement after 37 years of service. Currently Mr. Drago is involved in the analysis, design, manufacture, assembly, and testing of many gear systems. In his role with DST, Mr. Drago is active in all areas of mechanical power transmission, including the design and analysis of drive systems in a very diverse field of application from heart pumps to very large mining & mill gears. He has also prepared and delivered more than 150 seminars dealing with various aspects of gear design and analysis. Search for Content by Category. View our 2019 Schedule of Classes! All education content is copyrighted by AGMA or AGMA Instructors. Reproduction beyond course use is strictly prohibited without the written consent of AGMA. If you have any questions regarding this statement, please contact Casandra Blassingame, Director of Education at blassingame@agma.org. The AGMA Education Department would like to thank the AGMA Foundation for its support. 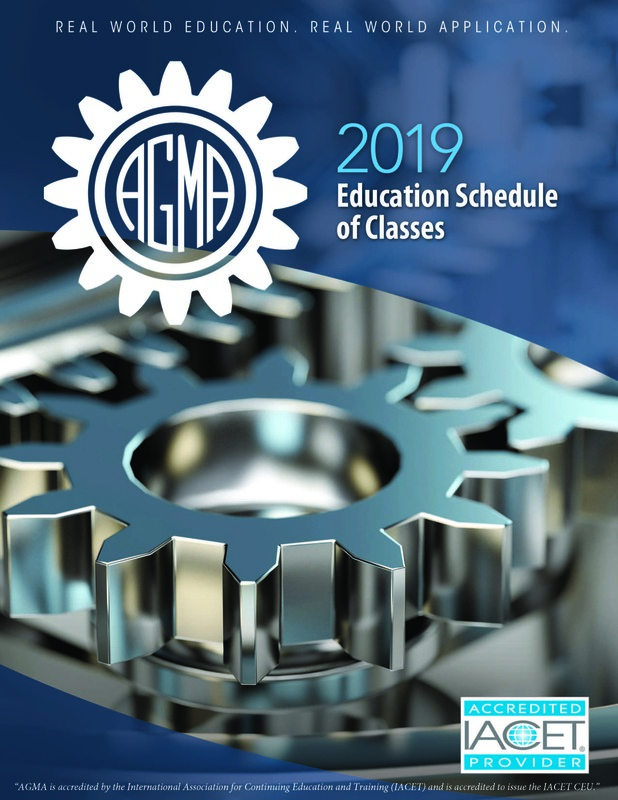 Several of the AGMA education courses in all formats have been made possible by the generous contributions by the Foundation. Our joint efforts to create and innovate results in membership added value for you! For more information on the foundation and how you can contribute, please visit the foundation website at https://agmafoundation.org/. 2019, AGMA. All Rights Reserved.